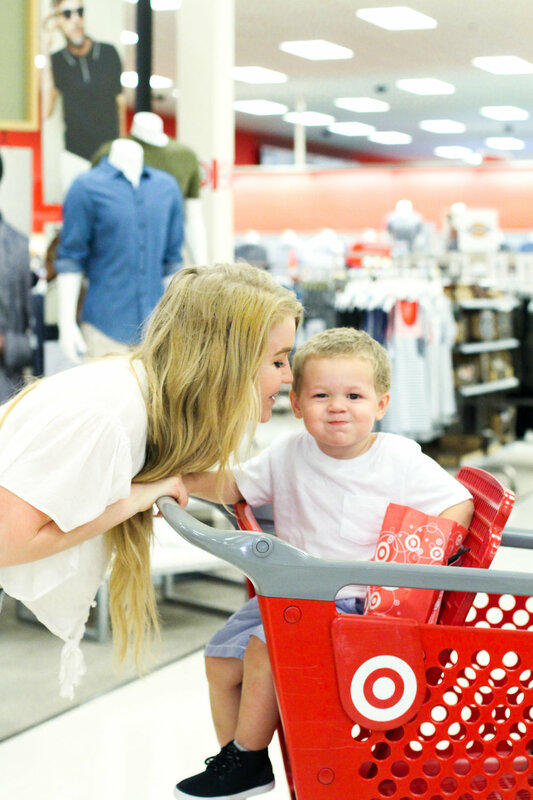 If you follow us on Insta, then you know that Aimery and I pretty much live at Target. I always find the BEST deals there and we LOVE their popcorn. I mean come on, how else am I supposed to shop for hours with an almost two-year-old? Target's popcorn, that's how. Priorities. 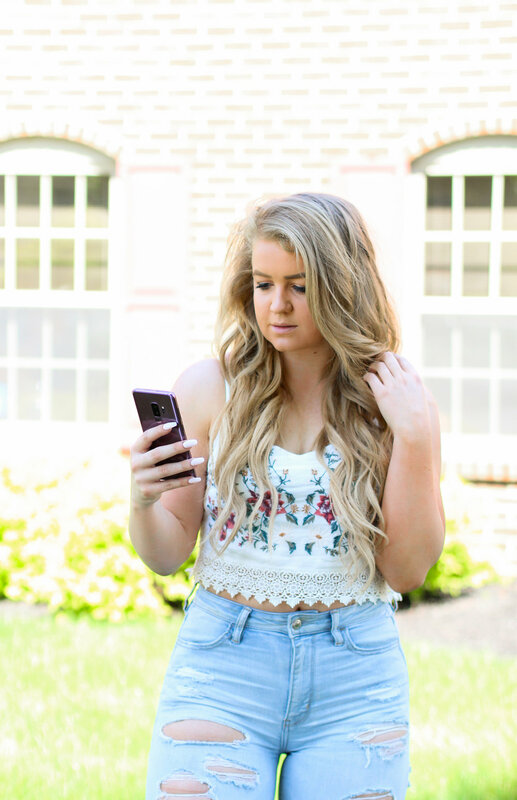 This week we ran to Target to look for the most perfect Father's Day present for my dad... And what better present than a new Samsung Galaxy S9+?! Since I'm a blogger, it is REALLY important to me that everyone in my life has a great phone with an amazing camera. I understand the importance of capturing moments, so the revolutionary camera on the Samsung Galaxy S9+ is a must have! This phone has a Dual Aperture lens that adapts like the human eye. So cool, right? You can capture stunning pictures in both bright daylight and super low light. Also, this phone has live translation, which basically means that the camera can instantly read what your eyes cannot. With this phone, you'll have real time-translation, whenever you need it! Another thing that I love about the camera is that it recognizes you instantly. This new technology (Intelligent Scan) combines face recognition with iris scan to make unlocking your phone SUPER simple, even in low light! Also, the Samsung Galaxy S9+ has AR Emoji that allows you to create an augmented reality version of yourself simply by taking a selfie. You then can share your real-life feelings as emoji stickers and videos to your friends! If you (or your dad) already has the Galaxy S6 or S7, you may be wondering how the Galaxy S9+ is an improvement from the phone you already have. Let me just say this, the Galaxy S9+ isn’t just a minor enhancement from the earlier models. Although the phone may look similar, this camera with slow mo, dual aperture and increased pixels really does increase the experience. The water proof screen is a huge improvement for the Galaxy S6 & S7 users. With the Galaxy S9+, you can even share your screen to other Samsung Screens, hassle-free. It's so easy to share photos and videos you’ve made by syncing your devices through your Samsung Account. Speaking of photos and videos, this phone has an infinity display that allows you to see the ones you want while showcased on a beautiful edge to edge screen. I'm seriously in love with the upgrade. 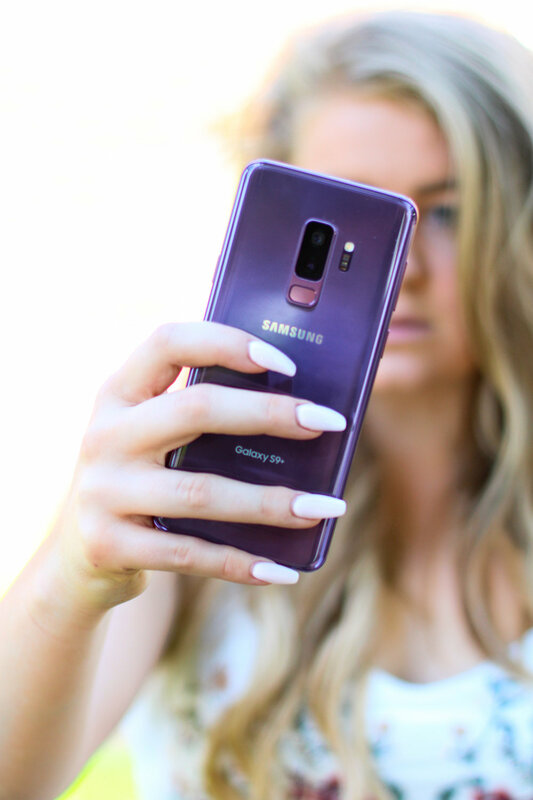 The Samsung Galaxy S9+ is available in numerous phone color options like lilac purple, midnight black and coral blue. Isn't the lilac purple to die for?! I'm seriously obsessed with the color options and how sleek the phone looks. Target is currently offering an AMAZING promotion where you can buy a Samsung Galaxy S9 or S9+ and get a Free $200 Gift Card with qualified activation on AT&T, Sprint or Verizon at participating Target stores. Valid 5/6-6/2/18! This means you can pick up a phone for your dad, and grab a FREE gift card for your hubby or another special father in your life! Click here for more information on this great offer. What are your favorite features on the new Samsung Galaxy S9+? Comment below with more great ideas for Father's Day presents!